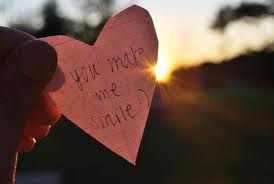 Nothing brings me more pleasure than to be with others and generate laughter, smiles, and a sense of joy. 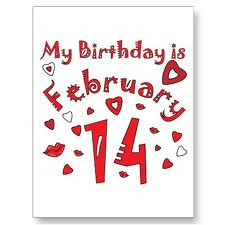 So here I am, just a few days into my 58th year and I have been reflecting on the new beginning that each birthday gives to us...a gift if you will....to be received and hopefully used to its fullest in the coming year. For whatever reason this notion has really struck me this year. Odd it has only taken 57 years to pass for me to come to some significant realizations. I believe that many of them will not only change my approach to how I proceed with the rest of my life, but will help me in my management of RA. Yes, indeed. 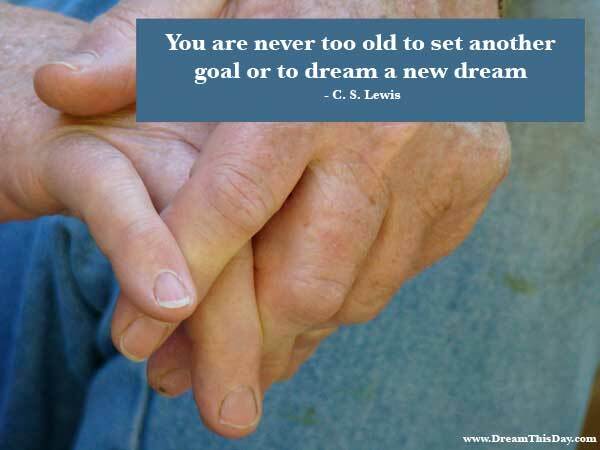 We need to be open to fresh starts and new goals forever! 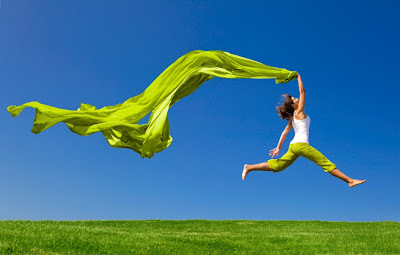 Shooting for new heights to achieve gives our lives meaning and purpose. Don't "settle" when you can have so much more! 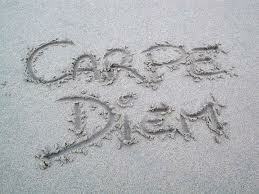 If we do, we will simply exist and that is surely not the way I want to conduct my life. 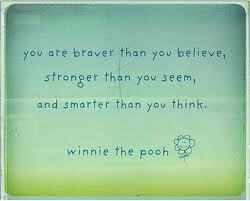 And this is a message that applies to RA as well. If you are not open to new goals (a little more physical activity for instance) you are not managing your disease in a way that will provide you with any degree of relief. 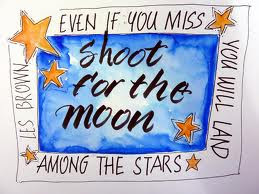 By shooting for the moon you can land on the stars....a great place to be by anyone's standards. I want to live my life in a way that says failure is not a negative but rather a lesson to be learned in an effort to accomplish my goals. 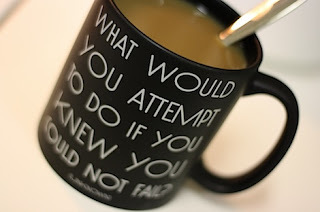 What would you attempt to do if you knew you could not fail? What a great question this is...think about that the next time you are trying to decide what to do in life. This surely applies to RA management. Just imagine if you knew that every time you opened your mind to a new treatment or suggestion for a way to better manage your RA, you knew it would succeed. That would, without any doubt, make you much more open to trying them out. Well, I am going to try to assimilate this into my coming year. I want to consider that it will succeed and go from there instead of the other way around...which we have often been programmed to do. I understand why....disappointments can lead to having that negative approach and to closing our minds off in an effort to avoid failure and the disillusionment that comes with it. But...it also means that any chance of success is greatly reduced. That is not how I am going to live. The fresh start that each new year of my life brings is something I intend to celebrate. 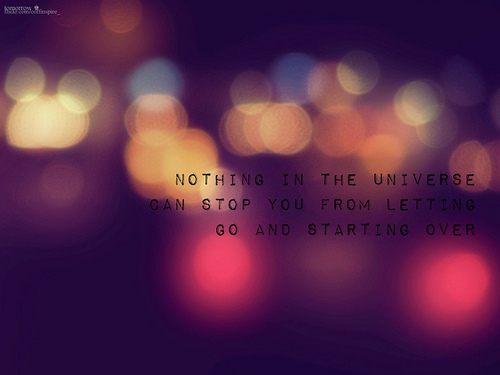 It really is a chance to let go of whatever may have held you back and to explore new options. I love the lessons the ocean teaches us and one of them is really simple yet quite eloquent. 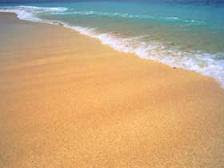 Just as the ocean tide each day sweeps out the "footprints" of the day before and leaves a beach untouched and new so we can start each day with a new outlook, wiping clear the "footprints" of the days prior, open to new adventures, new options, fresh beginnings. Only then can we truly learn to manage chronic disease. Seize the day has always been a favorite tenent of mine and in this new found time of reflection I now understand that it applies completely to RA management. We have to learn to grab and hang on to each and every wonderful moment when the pain has subsided, when a treatment is working, when an experience presents itself that we can enjoy despite the RA. Our lives will be so much better for it. Many times in the past I have found myself feeling sad as holidays unwind, my sons head back home, vacations end. 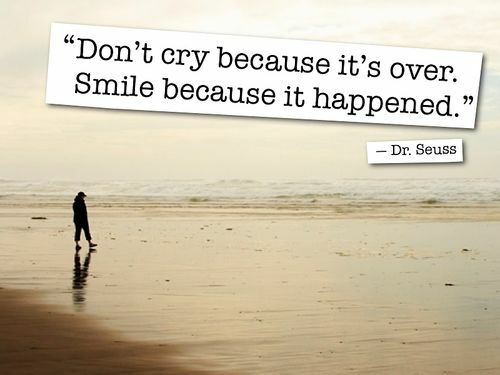 I have been trying to flip that around and not feel sad in those moments and this wonderful quote by Dr. Suess really presented me with the perspective I needed. So as my next year of life begins, I will focus on the joy of those events, not crying because they are over and done, but smiling because the memories and joys of those times are so wonderful and with the knowledge that there are more to come. Again as it applies to RA, I want to focus on the successes of the past year, no matter how few they may be, and take the positive attitude into my new year. I intend to live my next year knowing that I am braver than I believe, stronger than I often give myself credit for, and smarter than I may think I am sometimes. With those new attitudes in place, it will help me to be confident in my ability to manage my RA, to advocate for myself when the need arises, and to find the right options for my own unique set of circumstances. And so as I start my "next year" I feel blessed with a new outlook that will allow me to "soar to new heights" and in so doing better manage my RA. 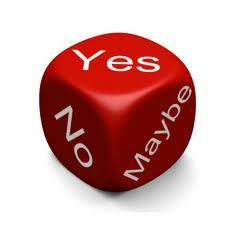 It seems when you live with a chronic disease like RA you are continually faced with making decisions...like it or not. 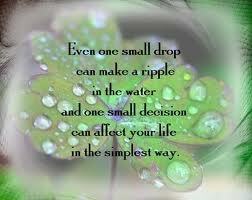 I am not just talking about the simple choices that we all make day to day. Do I do the laundry today or tomorrow, what do I make for dinner, etc. 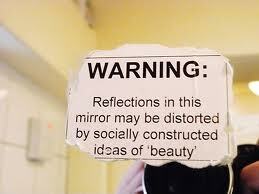 I am referring to the much deeper ones that are never far from the minds of those of us with RA. 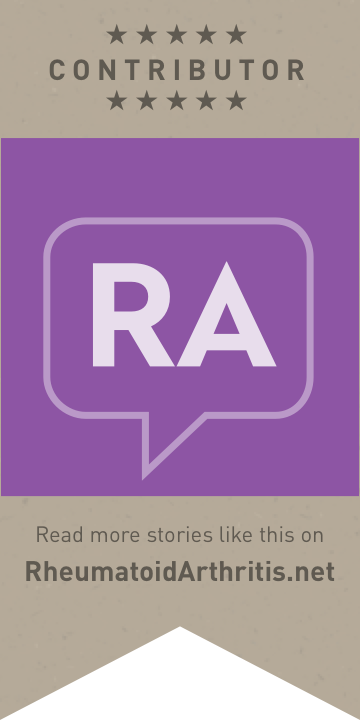 They need to be addressed if we are to successfully manage RA. 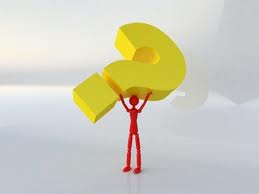 At first glance, the notion of facing all of the decisions associated with RA can be like carrying a giant question mark on our shoulders....we are not sure where to turn, how to arrive at the right decision, who to consult, what to consider, how to prioritize. 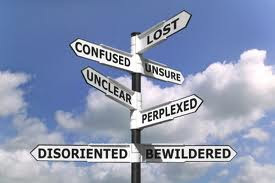 It can be confusing and overwhelming. Standing at the "crossroads" of making major decisions can paralyze us and that lack of ability to make a decision can have a huge impact on your RA. For instance hesitating on a treatment change you know you need to make could be a real setback. I know when I was trying to come to grips with a medication failing (and it has happened several times) I tended to take a "wait and see" approach that has not always been the best decision. I am trying to be better at anticipating that these days. Not moving forward when you have a chronic disease may well be the same as going backward leading to more pain, joint damage and poor outcomes. So now when I see a flare rising up or some other issue, I try to make some well informed decisions around that concern. It is imperative that we develop the skills and the motivation to make decisions that will positively impact our lives with RA. We need to gather the information methodically and with care in order to be truly comfortable with the decisions we make. I try to go to sources and people I can trust and who have the knowledge I seek. 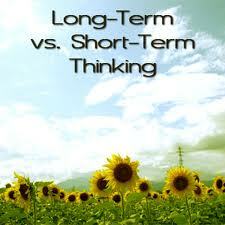 With RA we face a myriad of necessary decisions - both long term and short term. These decisions need to be approached with care, consideration and calm. To do otherwise jeopardizes our health and well being. That means going to the right people (remember your Support Team), doing the necessary research and just as important listening to your own gut when it comes time to make that final decision. Just as it is important to feel committed to what you have decided it also critical that you allow yourself to adjust your attitude. Being flexible in your approach to anything you do in life is key. 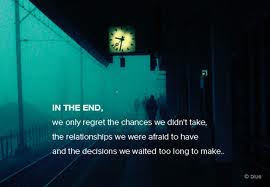 If I make the wrong decision, I try not to dwell on that but rather learn from it. 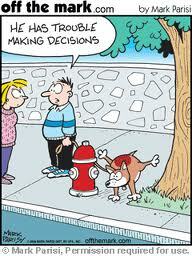 Understanding that you will make bad decisions is part of life. 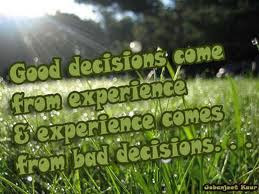 Making good decisions is a learning process and often having made bad ones and then reflecting on the details of that provide us with some new skills to use the next time around. One of the dangers of "putting your head in the sand" and not making any decision at all is that you will miss out on what could be a disease changing choice or one that would ease your pain, make your life easier, happier and more manageable. 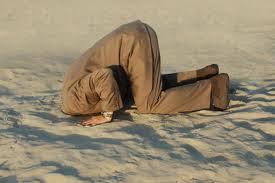 Sure there are times (many many) when RA and all of its challenges simply overwhelms us and "burying our heads in the sand" may seem like a great option. 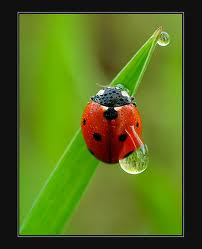 Life is not easy, just ask this ladybug...and it is that much more difficult with a chronic disease like RA. But that does not mean it cannot be a joyful, positive life. It just means that we have to be thoughtful in our decision making so that our lives can be amazing, despite the challenges of RA. Part of your RA Tool Box must include decision making strategies and the understanding that waiting too long to move forward with a decision can have far reaching effects that we want to avoid. I don't plan to have any regrets about chances I did not take, decisions I did not properly weigh, choices I was too afraid or angry to make. Even taking one small step, making one simple decision can have far reaching consequences. For instance, decide today that you will do 5 more minutes of exercising, be it walking, biking, strength training, swimming - whatever. Just 5 minutes. 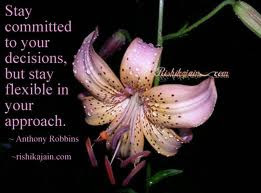 After you see the positive impact that has on your life it will lead to other decisions and then other decisions until that fear and reluctance to make more important decisions becomes a challenge you embrace not one you shy away from. So my message here is not so much what the decisions are (there are so many we face when we have RA) but rather that we need to understand the absolute importance of making decisions and its value to us in managing our RA. 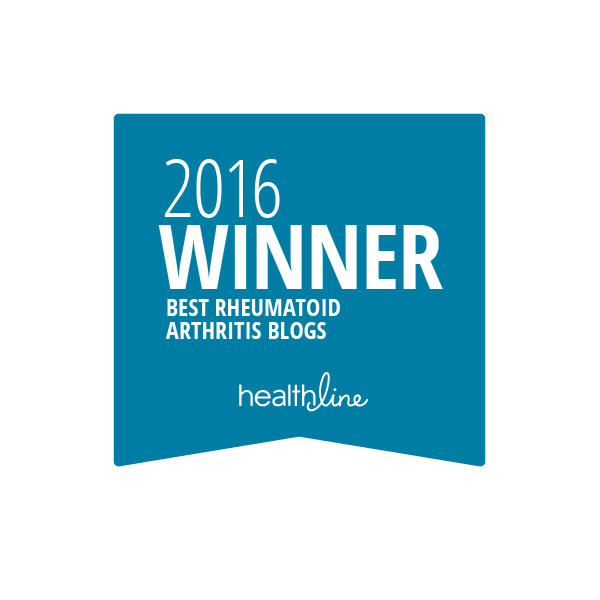 There are certain realities that I have come to understand while living with RA for 15+ years and being decisive is surely one of the most important!